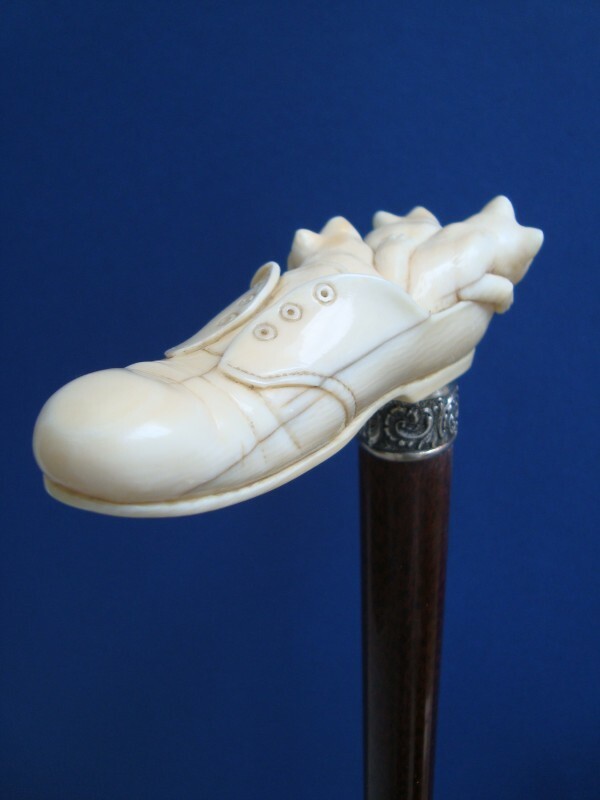 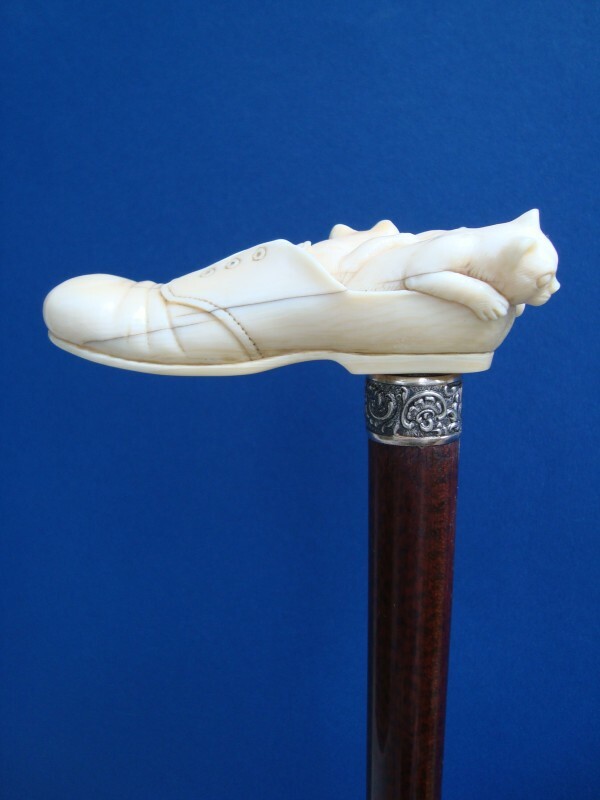 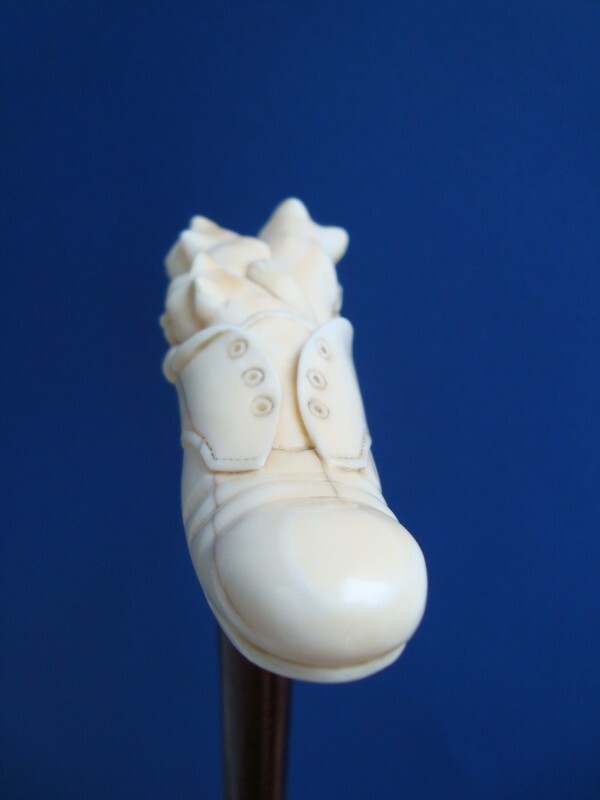 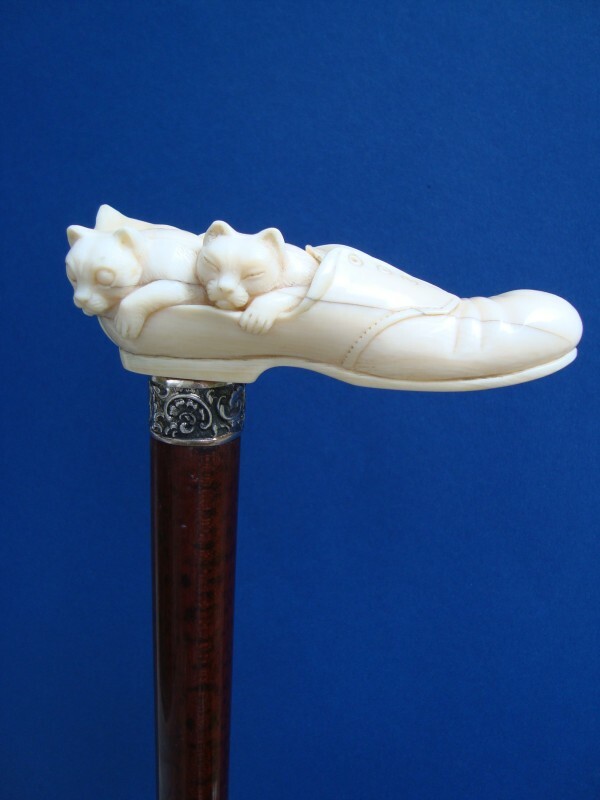 Walking cane with an ivory shoe and three little cats insid second half 19th century. 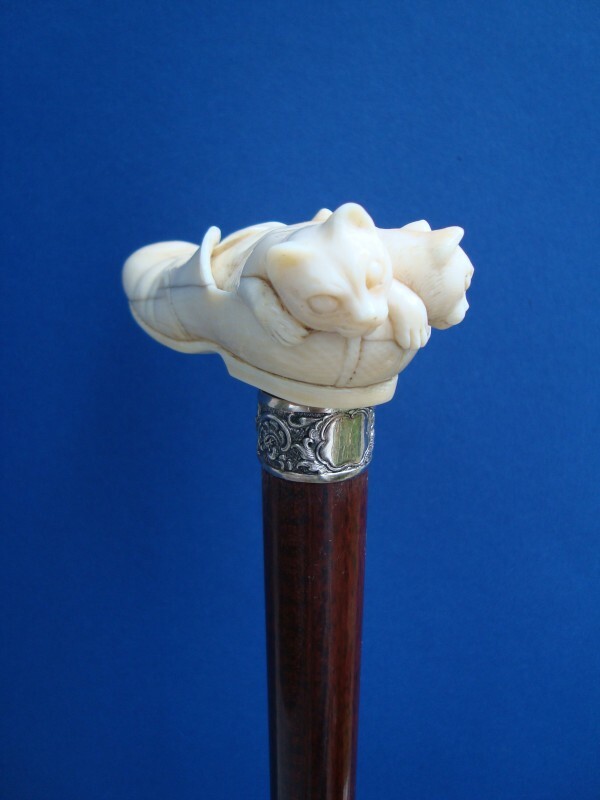 The handle is fitted on a silver collar with mussel décor and a snakewood shaft with a brass ferrule. 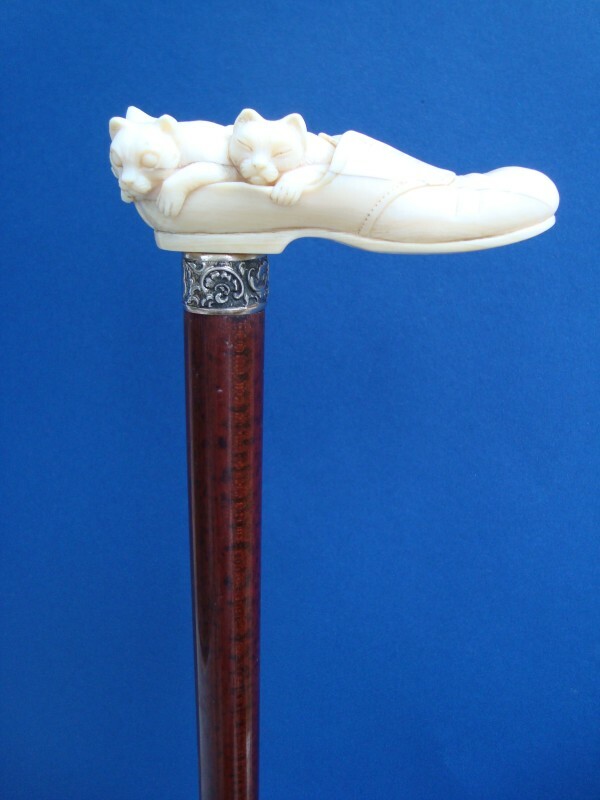 Measures: length of the handle 11 cm, 4,3”, overall length 90 cm, 35,5”.